← Congratulations Ashley and James! Endless Jewelry is now online! 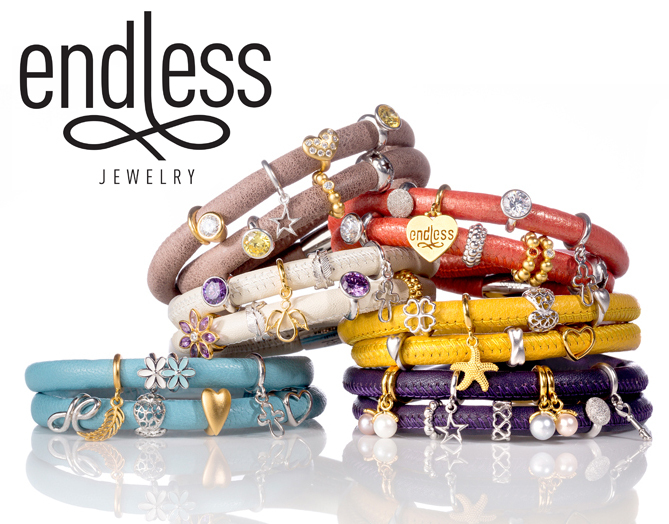 Endless Jewelry Special Offer! – As featured in our Christmas Catalog: Tomorrow is the last day (Dec. 31) to purchase a double wrap bracelet along with one charm, for only $69. The double wrap bracelet and charm is normally $100 for both. *This is an in-store offer only. Our Endless Collection is now online! We have many styles and sizes available, as well as the Jennifer Lopez Collection! 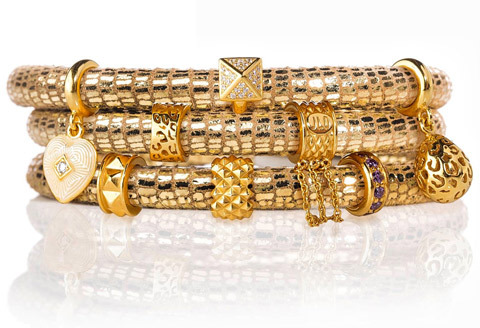 Endless Jewelry bracelets can be combined in several different ways. You can choose between various leather colors in the bracelets. The sizes are in single, double or triple wrap lengths with magnetic steel lock clasps. And then of course you can start fitting your bracelet with the hundreds of different charms in either gold, rose gold, sterling silver, gemstones and more. Some of the charms slide on the bracelets and some dangle off the bracelet for an elegant look! Below are some of the pieces that are available. See them online here. This entry was posted in Jewelry, Jewelry News and tagged bracelets, charms, endless jewelry, Jewelry, jewelry warehouse, leather bracelet. Bookmark the permalink.